When and where? From the 01st of July to the 28th of July 2018 in Barcellona Pozzo di Gotto. During their free time they enjoyed Italian cuisine in local restaurants and had a traditional “aperitivo” with the team of “A Rocca” in Barcellona P.G. Farmacia Bucalo & C. s.a.s. The project was finished with evaluations from the students. In their assessment they described the project as valuable, useful and interesting. 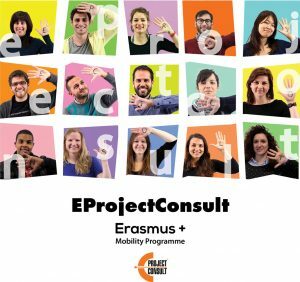 “A Rocca” and EProjectConsult are satisfied to have offered the students a possibility to gain professional experience in their sector to be more competitive in the labor market. The project took place smoothly and we are hoping to continue the pleasant cooperation with the school.